Sometimes it is really difficult to start exercising – and even more exhausting to do them properly. However, our prolific canine friends, who are in perfect shape, can easily help. Even more than that – they are eager to exercise with people! 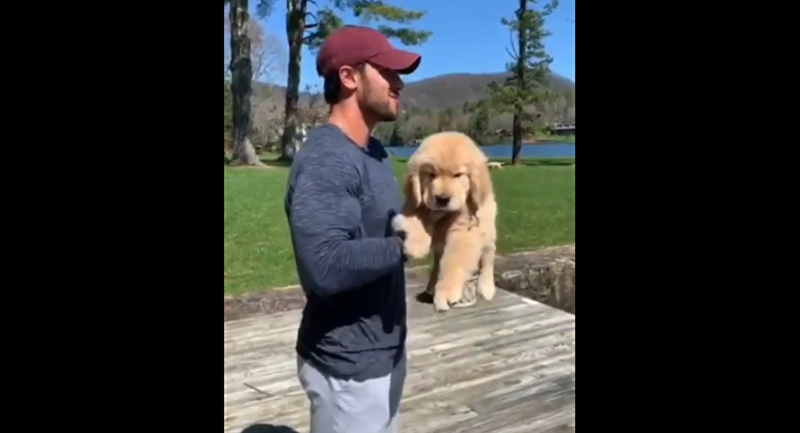 This little golden retriever pup sure knows how to motivate its owner. It is really cute and fluffy — and a bit sleepy, to be honest, but it is already doing its part, so there is nothing wrong with a good nap after the session!